Hey John McCain—Get Your Grubby Little Progressive Hands Off My Damned Cable Box! 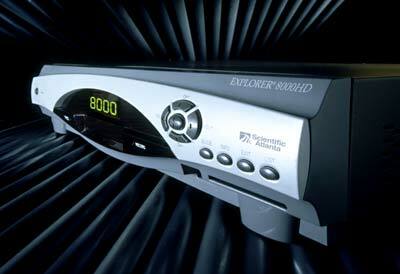 Anybody who has Cable TV knows the frustration of having a few hundred channels but nothing to watch. Part of the reason is the bundling done by content providers. So for example, if you want Discovery Channel you are stuck with getting the Oprah network because they it is owned by Discovery communications and the company sells its programming as a group. For parents of Kids if you want Nickelodeon you have to take Logo (the Gay Channel), Other programming companies do the same which is the reason you have ESPN 1, 2,3, 4, Classic, etc. as part of your cable. The problem is while you may only want ESPN 1&2 your cable system pays for all of them and passes on the cost. The Cable companies do the same thing. A family doesn’t get to pick its favorite 900 channels, but has to purchase tiers. So instead of purchasing just History Channel, National Geo, Discovery, etc. the monthly I receive includes things that are never watched on my family’s sets, a H.S. Sports channel, five different Christian Networks, a medical channel…etc. John McCain wants to change all that. The Arizona Senator introduced a new bill, the Television Consumer Freedom Act, that would present incentives to both cable operators and television networks to let consumers choose the channels in their subscription. Right now, all customers pay substantial “carriage fees” for the most popular channels—ESPN is pegged at about $5 per subscriber—whether they want them or not. The biggest change would come in the way networks sell their channels to cable operators. Right now, media companies like Disney and Viacom sell their channels in bundles, forcing operators to pay for third-tier networks in order to get access to ESPN or Nickelodeon. Cablevision is currently suing Viacom for the practice. McCain’s bill would force the networks to unbundle their products, theoretically allowing cable operators to be more thoughtful in their channel selection and pass the savings on to consumers. In the past, though, television networks have argued that bundling channels allows niche programming to exist when it would otherwise be economically unfeasible. While the bill requires networks to unbundle their channels, it only encourages cable operators to offer consumers a similar luxury. Cable companies that refuse to offer channels individually would lose out on a special compulsory copyright license which allows them to air content from broadcast networks for a set fee without getting tangled up in individual channel negotiations, as they do with cable networks. While I may agree with McCain’s objective I do not believe it is government’s place to interfere in the business of cable TV. There is plenty of competition in the programming industry between cable, satellite and now streaming video on the internet so there is no monopoly issue. That’s why ignoble experiments such as Discovery’s Green channel (climate change 24 hours/day) is gone. Another issue is McCain’s bill forces the programmers to unbundle but not the cable systems, so he is picking winners and losers in the marketplace. There will be unintended consequences to McCain’s bill that we can only imagine, higher fees for the networks the systems do want leading to higher costs for consumers as the systems will carry only the more popular/expensive networks, less experimentation in programming leading to practically the same thing on every channel are just two. Whenever the government try to regulate an industry costs go up and production goes down. Don’t get me wrong, I would prefer a cable/satellite marketplace that is unbundled but it is not government’s place to decide what into my cable box (Granted that’s what happens with the network news, but I’m not talking about news bias). As more and more options become available on line, the marketplace will force the programmers and cable networks to change. Today there are other problems, the economy, unemployment, cheap energy, losing our place of leader of the free world and countless others for John McCain to worry about which networks are wired into people’s households. I haven’t even gotten to the question if government gets into our cable boxes what information will it retrieve from them, or will they eventually require cable systems to carry some networks and not carry others? You say never? Six years ago would you ever believe our government would pass a bill requiring someone to purchase healthcare? Personal entertainment, whether it is in the movie theaters, internet, or coming out of our cable boxes is personal business. The only people who should be involved are the programmers, cable systems and the families who are paying to bring it into their households. The government has ruined so many industries through regulation, they should not get their grubby little hands on my cable box.